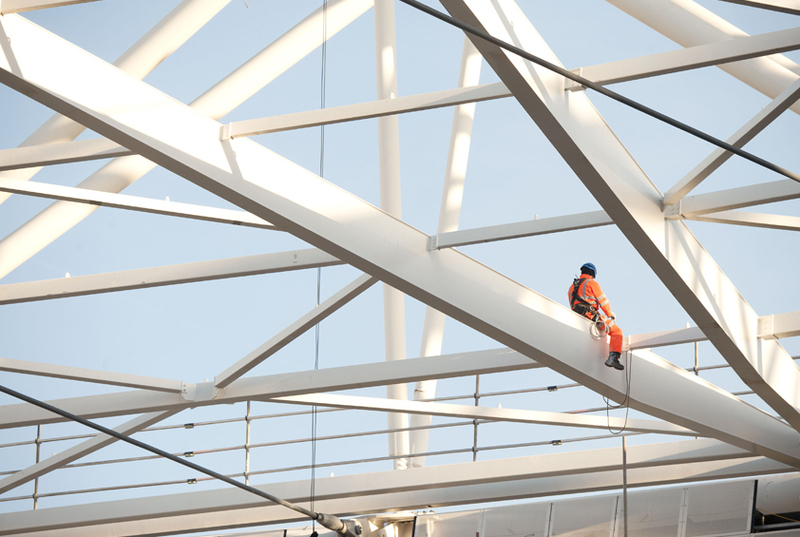 We were tasked to replace and strengthen existing columns within the Olympic Stadium. and filling with concrete. 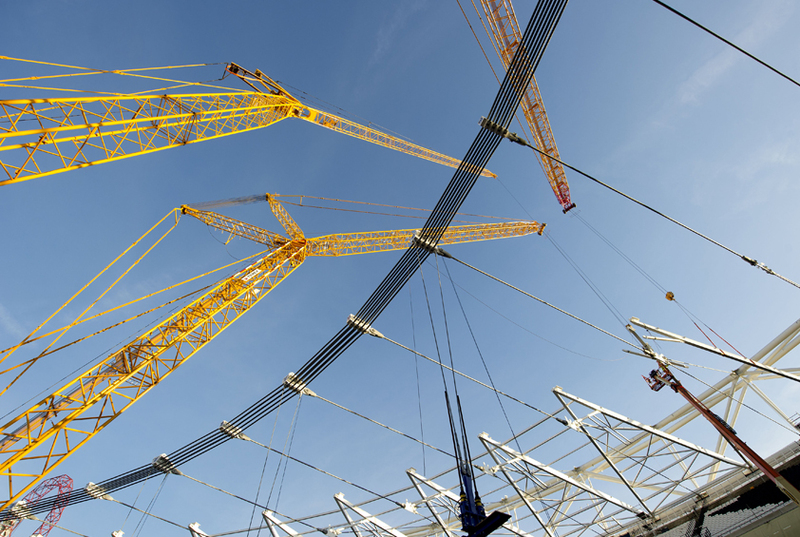 Over 500 locations within the stadium required strengthening work. We carried out this out with over 100 men working in various areas. 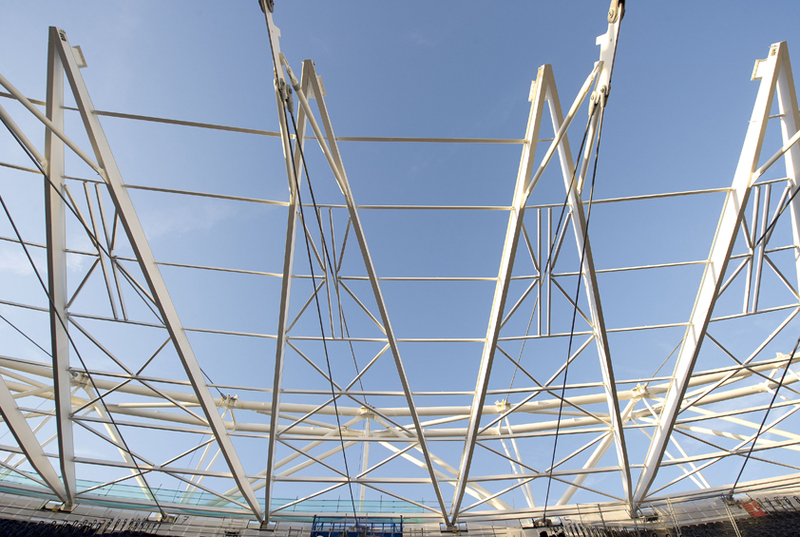 comprising 4000 tonnes of new steelwork, achieving the largest open stadium roof span in the world. 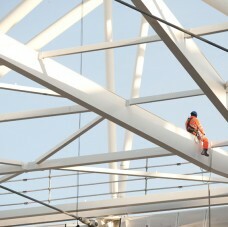 2000 tonnes of original pipeline steelwork were reused. which was 45,000m2, was the largest of its type in the world. cantilevered roof in the word. 8 and 41 lamps, all of which sit on a cable net structure. 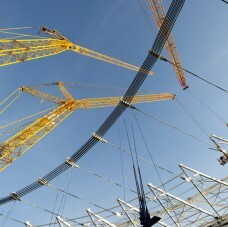 It took 12/16 hours to lift each 45 tonne light into place 30m above the stadium floor. 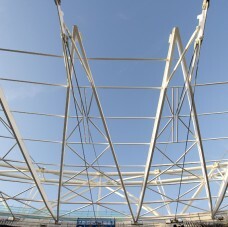 The triangular design has been kept to reflect the iconic Games-time shape.